Well, I was born in South Africa, lived there until I was 17. Came to North America of my own accord, against my parent痴 wishes. And was in Canada for a few years. I started school there which is where I met my wife. Transferred down to the University of Pennsylvania and got a degree in physics, degree in business at Wharton. Came out to California with the intent of doing a PHD in the material science and physics [unintelligible] with an eye towards using that as an energy storage unit for electric vehicles. I ended up deferring that graduate work to start a couple to start a couple of area companies, one of which people have heard about, such as Pay Pal. 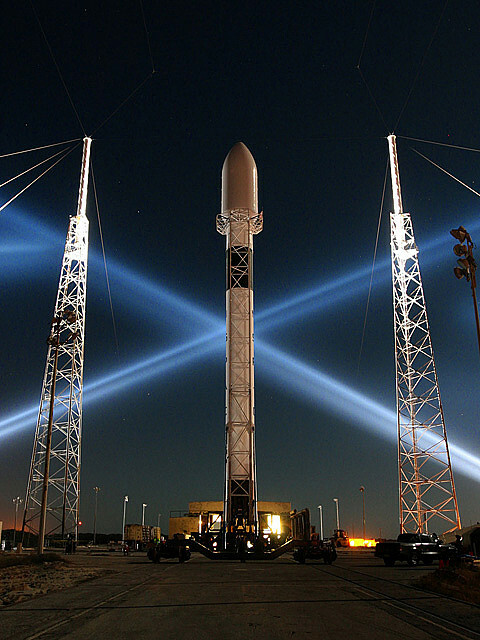 SpaceX is developing markets for taking satellites and people to orbit and beyond. So, we致e finished development of and done a few test launches in our small rocket, which is the Falcon One, which you see part of over here. And we have in development a big rocket which is the Falcon 9. And that痴 intended to service the space station, as well as deliver very large satellites to orbit. I wouldn稚 say — I mean, I wouldn稚 say it痴 a personal interest of mine to go to Mars, but really my interest in going to Mars is from the standpoint of the extension of life beyond earth. To the best of my knowledge life exists only on earth. And this is the first time in the 4 billion year history of earth that it痴 possible to extend life to another planet. But this is not in that category, this is really much thicker, deeper philosophical underpinings better financed to why I think it痴 important to extend life beyond earth. It goes to the nature of importance. How do you decide that one thing is important versus another. And the layers of history — I guess a good way to distinguish whether something is important or not. If you look at the history of the earth upon a geological grand scale — what are the really important milestones in the history of life itself. Forget about the parochial concerns of humanity. インタビュワー：invention of fire, the wheel, that kind of thing. That痴 actually a very [unintelligible] humanity. That痴 actually [unintelligible] factor (speaking over each other) Those are only important in the context of humanity. インタビュワー： Oh, I see, okay. I知 talking about things that are important in the context of life itself. So, you know, there痴 life extending — life emerging from the oceans and moving up to land. There痴 the advent of mammals, the devopment of consciousness. These are — there痴 maybe ten or twelve things that fed on to that scale. And then within a subset of man痴 achievements would be things like fire, wheel, the internet and that sort of thing.